The man behind the 'Open Letter' about Sen. Grace Poe, Duterte-Trillanes face off and to his appeal to the President Aquino III has new story to tell about 'The Exciting VP Race.' Willy Ramasola explained very well why Leni Robredo able to overtake Marcos in the vote tally. Willy said on the last part of his posted story, "The counting is not finished yet so it's still anybody's ballgame. But if ever Leni wins, I am confident she will do well as Vice President and she even has the potential to become our next president in 2022." 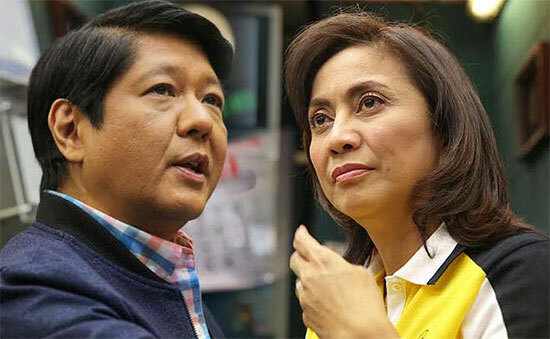 Social media is again busy spreading conspiracy stories surrounding the ongoing vote count in the tightly contested vice presidential race between Bongbong Marcos and Leni Robredo. Accusing Leni of cheating which explains her having caught up with erstwhile front runner Marcos is a bit cruel and unfair. So these are my opinion on the few nagging questions. Firstly, did Leni Robredo and the Liberal Party cheat? I personally believe that aside from a few instances of technical problems and honest mistakes, the conduct of the national elections was generally orderly, fair and honest. I do not think cheating happened. Let us bear in mind that Leni Robredo, just like president-elect Duterte, doesn't have enough personal financial resources for her to launch a national political campaign. So she had to rely on financial support from Mar Roxas and the Liberal Party. And if ever cheating indeed happened using Liberal Party funds and machinery, then they would have done something also to jack up the numbers of Roxas. But the results in the presidential race do not indicate any form or any kind of cheating. So why or how was Leni able to overtake Marcos in the vote tally? As explained already by PPCRV, the initial votes came from Luzon of which the pro-Marcos solid north contributed much of the lead enjoyed initially by Marcos. However, after the Luzon votes were all accounted for, the votes from Visayas and Mindanao slowly trickled in. It's worth noting that Marcos is weak in the Visayas and Mindanao. So it should not come as surprise that Robredo was able to catch up and is now enjoying a slim lead over Marcos. Robredo also denied social media speculations that she would resign if elected as VP. In a media interview, she echoed the concession speech delivered by Mar Roxas who wished Duterte all the success because the success of the Duterte presidency is a success of the Filipino people. Robredo also reiterated her 100% commitment of support and cooperation to incoming president Rody Duterte. She hopes to be able to play a role in whatever position that the new Chief executive will assign to her. So the final question is what could be the reasons why people voted for her? 1. I personally admit that Leni is a person of unquestionable integrity and is very qualified, capable, and sincere in her commitment to serve the Filipino people as our country's Vice President. She is definitely more than just an obscure neophyte congresswoman and wife of the late DILG Secretary Jesse Robredo. The Liberal Party made the right decision to adopt her as Roxas' running mate. 2. Using the financial resources, media strength and political machinery of the Liberal Party, Leni Robredo was aggressively introduced to the voting public. As a result she managed to get more support from Bicolanos, Visayans, Mindanaoans, women's groups, and even from Duterte supporters nationwide. 3. Marcos, for his part, suffered similar fate as Binay. He was ganged up during the Vice Presidential debate and didn't show up in the next and last debate. He was attacked for the martial law atrocities committed by his father and his lack of remorse didn't help him win the hearts of older voters who experienced martial law. ABS-CBN, a media giant owned by the Lopezes who were victimized by the martial law regime, broadcasted documentaries and programs that educated young voters about the evils of martial law. Marcos simply failed to shrug off human rights and corruption allegations thrown against his family. 4. Robredo's calm and caring personality charmed the voters who see her as a beautiful complement to a perceived iron-first rule of Duterte. Her being a woman played a factor especially to women voters who also needed someone to champion women's rights and help the oppressed. Needless to say, let us please give Leni some credit and acknowledge her qualifications and the efforts she made to bring herself to where she is now. The counting is not finished yet so it's still anybody's ballgame. But if ever Leni wins, I am confident she will do well as Vice President and she even has the potential to become our next president in 2022. What do you think on Willy's thoughts? Do you agree with him? Share your thoughts below. Comments or suggestions about "Willy Ramasola: 'Did Leni Robredo and the Liberal Party cheat?'" is important to us, you may share it by using the comment box below.